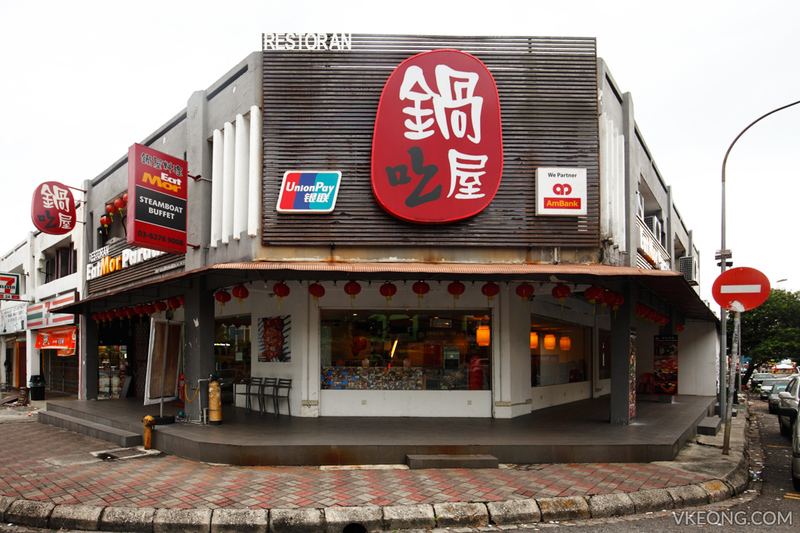 EatMor Paradise (previously known as Mo Mo Paradise) is one of the longest standing shabu shabu restaurant in Kepong. 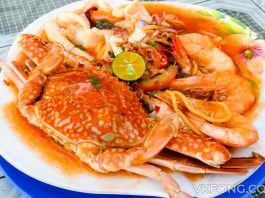 Rightfully so, since their steamboat buffet is a bargain (RM39.50/pax) compared to the steamboat restaurants that do ala carte menu. Just to give you an idea, we had a dinner at Ho Ho Steamboat a few days ago and we noticed an increase in their prices. It costs at least RM40 for 2 pax now and that’s just the basic set without topping up anything else. The price for a single portion of pork slices is shockingly expensive too, it’s RM22! 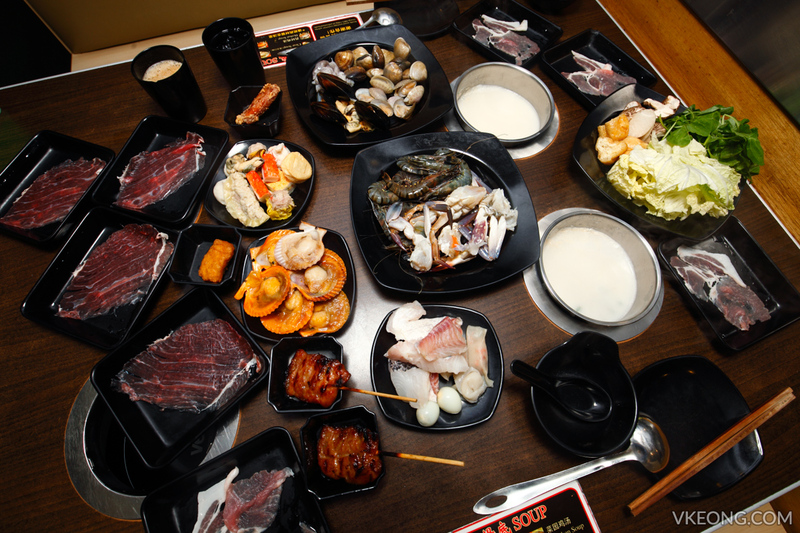 Looking at the individual pots, EatMor Paradise is more of a shabu shabu joint. You get to choose from 6 different soups and the pork bone soup is the latest addition. 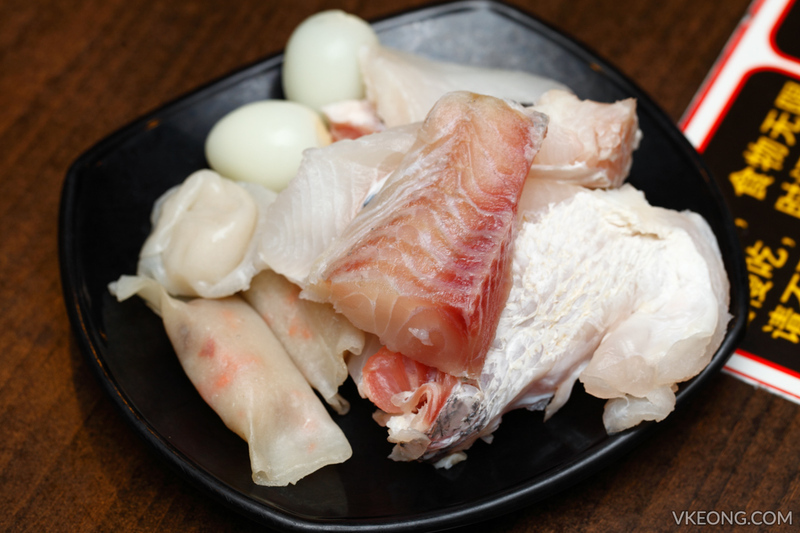 We have always preferred pork bone soup than anything else so it was an easy choice for us. Just so you know, the chicken soup here is not bad as well. As soon as you are seated you will be offered a couple of pre-cooked dishes. 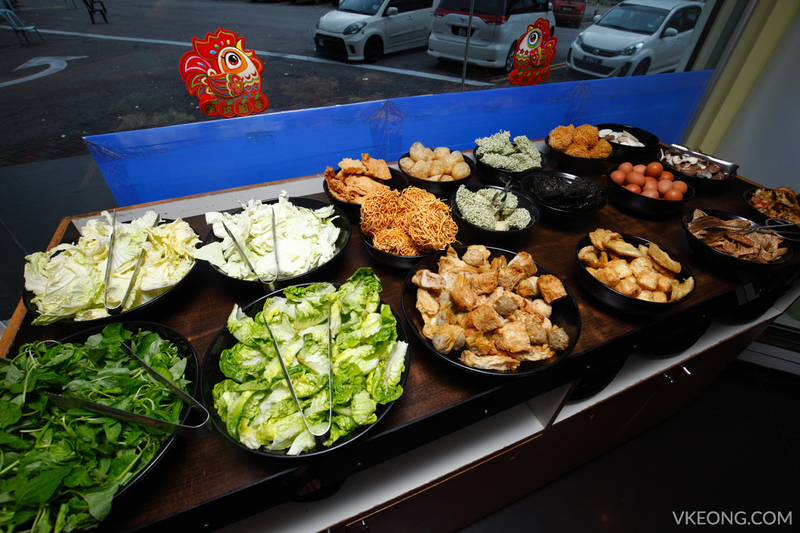 They include Moo Ping (Thai Pork Satay), fried chicken wings, chicken nuggets, Taiwanese sausage and some other stuff. Don’t ignore the Moo Ping, as it is absolutely delicious. It is probably the tastiest we have had so far in KL, even more surprisingly, at a shabu shabu restaurant. 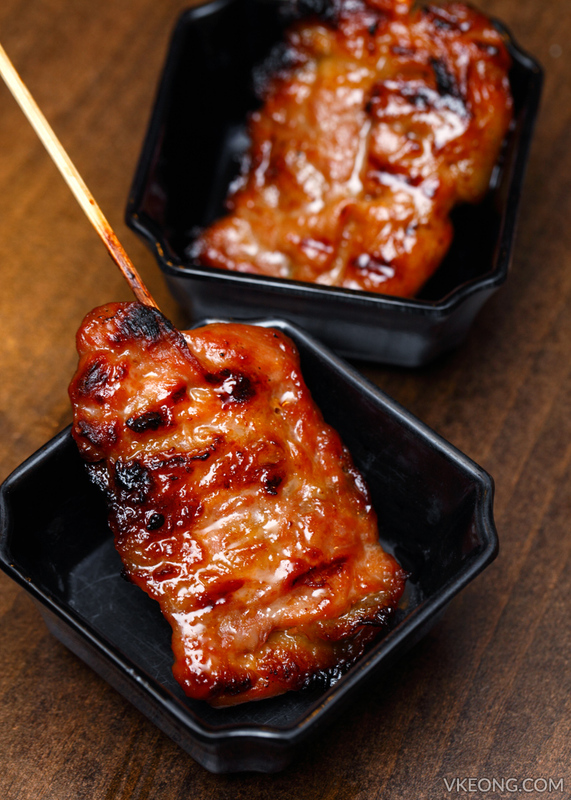 You can order as many as you want – just make you are able to finish them. 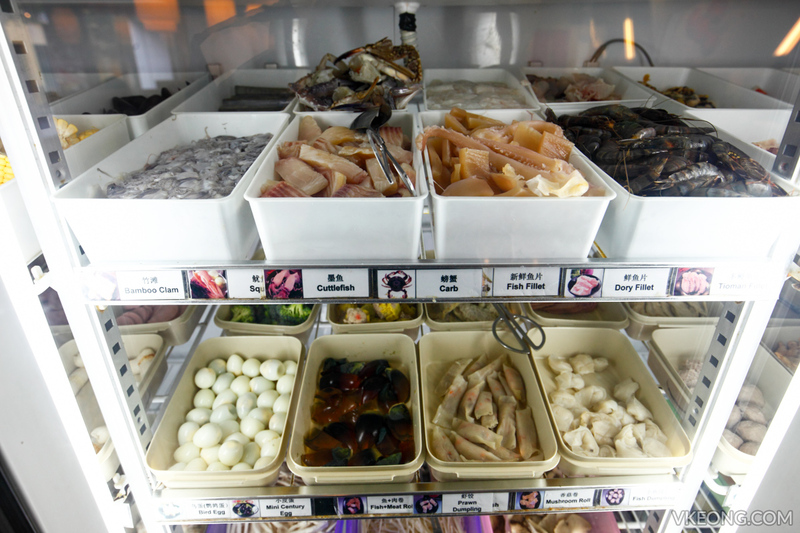 Based on our visits thus far, we noticed that the selection of seafood varies from time to time. Sometimes there are three different kinds of prawns but then there was only one in our most recent visit. The processed food, vegetables and noodles seem to remain the same. We also like that the fridge is always well stocked and none of the trays were empty anytime we raided it. 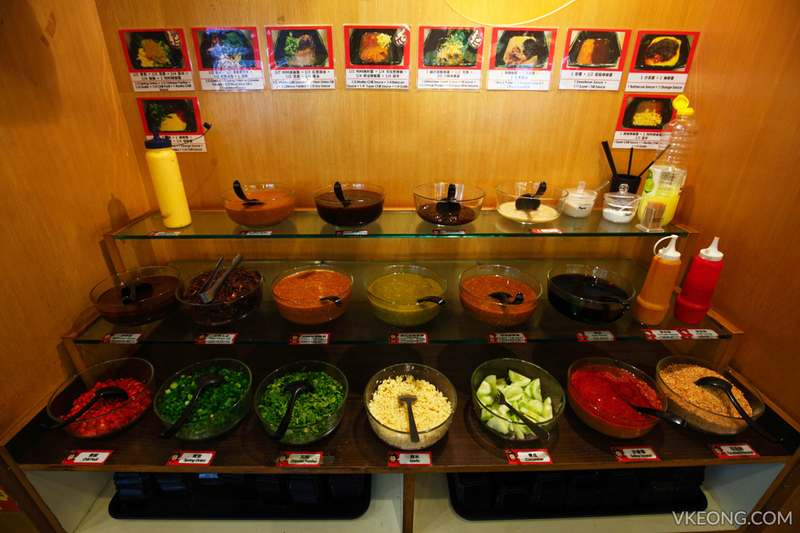 More than a dozen of sauces for you to mix and match according to your taste. If you are clueless, just refer the recipes they have shared on the wall. I usually mix chili, shallot oil, soy sauce and a dollop of garlic paste. 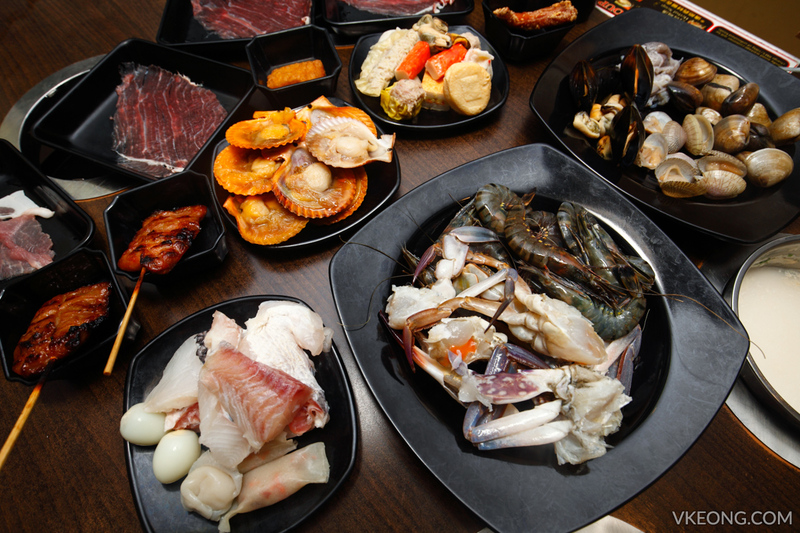 Back to the food, safe to say you won’t go wrong with the prawns, pork slices and beef slices. The rest of the seafood like clams, flower crab, scallops and fish fillets were really just OK. They look good, appear fresh and all but they are pretty tasteless when cooked. 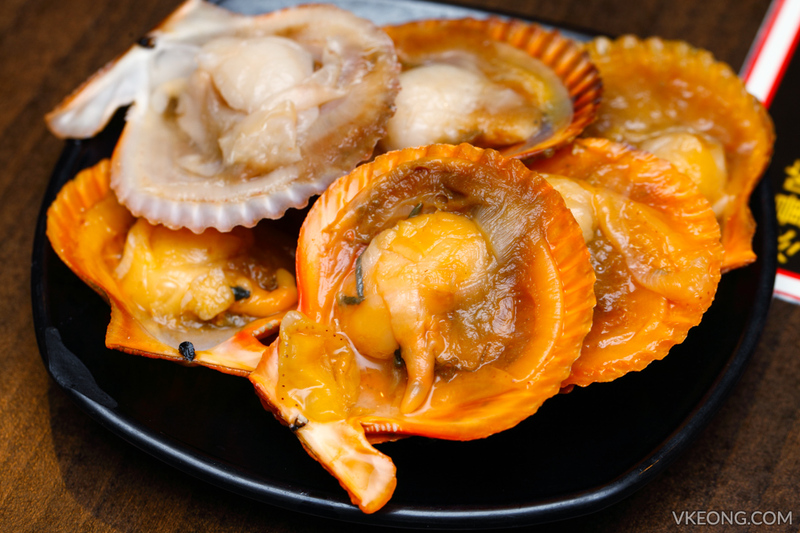 And depending on how sensitive you are towards seafood, the clams and flower crabs may have an unpleasant frozen taste. 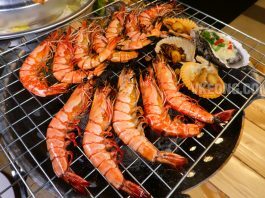 Honestly, you can’t expect too much, EatMor Paradise’s standard is pretty much up there for steamboat buffet restaurant. 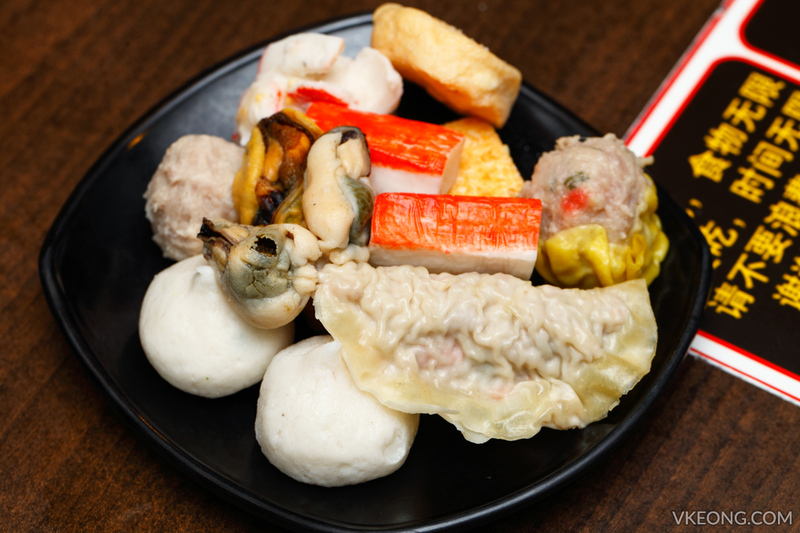 As for the processed food, the fish balls are run of the mill stuff except for the prawn dumplings and siew mai which turned out quite tasty. 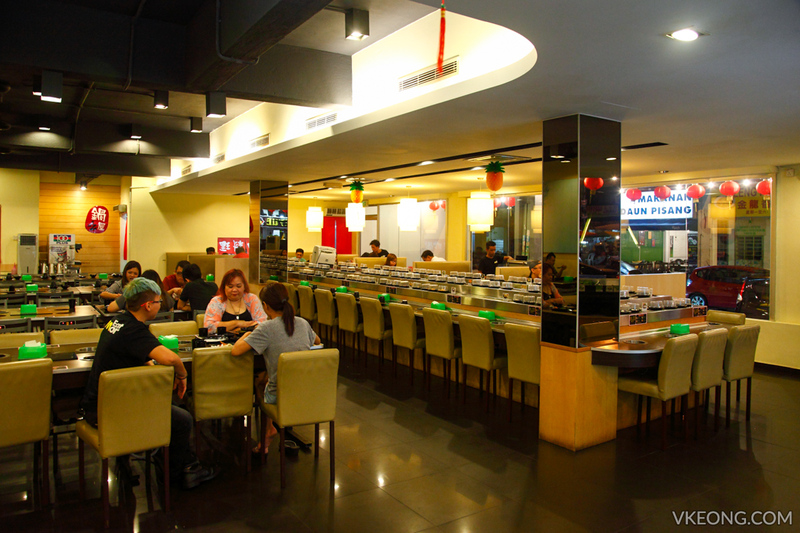 EatMor Paradise is also equipped with a conveyor belt that sends tiny portions of food around. So you can grab your favorite item without moving an inch. 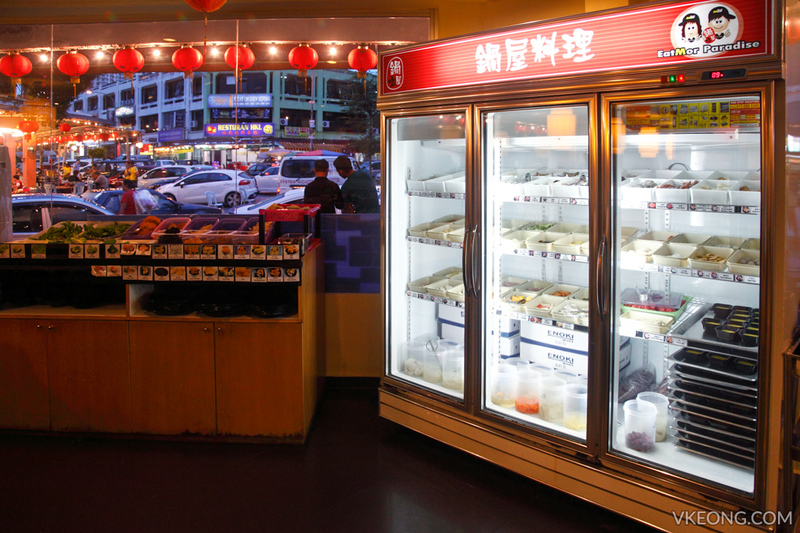 A variety of soft drinks and ice cream (Polar brand, still delicious) are also available at the end corner of the restaurant. 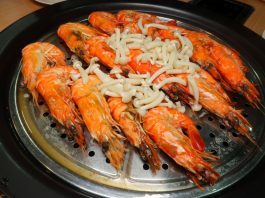 All in all, if you are hankering for steamboat with unlimited seafood and pork then you should definitely consider EatMor Paradise. The fact that they serve excellent Moo Ping and pork slices is already a big advantage over the other steamboat restaurants in town. Service was attentive and polite too.